. Photo by Seigo Saito/B.A.S.S. ONAMIA, Minn. — After two days of the Toyota Bassmaster Angler of the Year Championship, Brandon Palaniuk is still clinging to his lead in the race for the AOY season title. But it’s been anything but easy. The noted smallmouth specialist from Hayden, Idaho, caught just 10 smallies from Mille Lacs Lake Friday — and if hadn’t been for a 6-pounder that bit extremely late, he might have actually fallen out of the AOY lead. That fish helped Palaniuk weigh in 21 pounds 1 ounce, which was good for 20th place in the daily standings and enough to keep him in the AOY lead. With 902 total points, Palaniuk leads Jason Christie (890) and Jacob Wheeler (885) by margins that can still be made up if things go wild in the final round. Palaniuk’s big fish came so late Friday that he barely made it back to the check-in on time. “I caught the fish at 3:14, check-in was 3:20 and I was 3 miles away,” Palaniuk said. “On top of that, I still had to cull. Since Palaniuk came into this event with a 15-point lead in the AOY standings, the ideal situation would have been for him to pile up the weight while his closest competitors — Christie and Wheeler — struggled. After catching 20-8 Thursday, Christie caught 22-9 Friday and jumped from 26th place to 17th. That helped him move to within 12 points of Palaniuk in the standings, meaning another fantastic day — coupled with a tough day for Palaniuk — could land Christie his first career AOY title. Christie said Thursday that he hoped for a weather change that might mess up other people’s patterns — presumably Palaniuk’s and Wheeler’s — and he regretted it today. “I got what I wanted,” he said, “but it just made those fish bite for them. The higher winds and larger waves made it hard for Christie to keep his trolling motor in the water and to see the fish on the Garmin Panoptix unit he relies on. He said most of his bass came out of one school he felt fortunate to find. 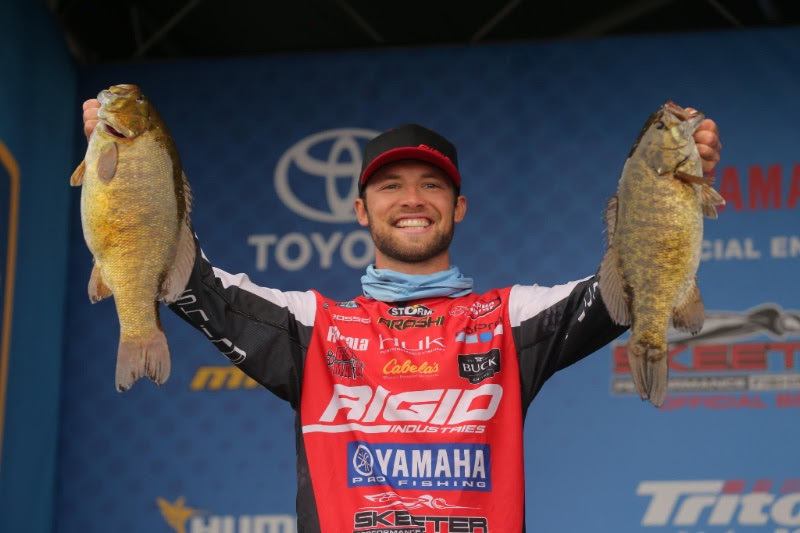 While Palaniuk and Christie had it tough, Wheeler said “fun would be an understatement” to describe the day he had on Mille Lacs. The first-year pro from Tennessee caught 24-5 and moved into fourth place in the daily standings. He still trails Christie by five points and Palaniuk by 17 in the AOY race. New York angler Jamie Hartman, whose stated goal was to win the Bassmaster Rookie of the Year award when the season began, took the lead in that race by weighing in 23-10 Friday and jumping from 48th to 36th place in the daily standings. That gives him a 776 to 770 lead over Alabamian Dustin Connell in the ROY race. Texas angler Keith Combs is threatening to run away with the daily standings after landing 24-15 for the second straight day. 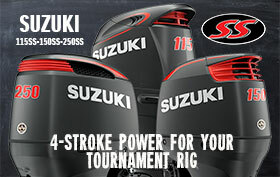 His two-day mark of 49-14 is more than 2 pounds better than that of second-place angler James Elam (47-4). Combs stands to win $25,000 if he retains the lead through the end of competition, but the rest of the $1 million purse will go to him and the rest of the field based on their final standings in AOY points. The full field will fish again Sunday to determine the AOY Championship and the event winner. Takeoff will be at 6:50 a.m. CT from Eddy’s Resort, and the final weigh-in will be held at 3:45 p.m. at Grand Casino Mille Lacs.